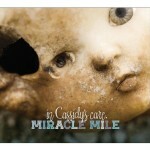 Share the post "Album review: MIRACLE MILE – In Cassidy’s Care"
Mircale Mile are a duo consisting of Trevor Jones and Marcus Cliffe, who have released eight albums prior to this one as Miracle Mile. This new album is a concept piece, based on the breakdown of a man’s relationship and the everyday dramas around his life. The story of ‘Cassidy’s Care’ runs through the music and also in the inlay sleeve, plus in a genius piece of marketing you can download the story onto your Kindle. Miracle Mile require your full attention as not only are the lyrics very moving at times (I defy anyone listening to ‘I Love You, Goodbye’ not to have a lump in their throat) but the music and its rich texture is simply stunning. There is an instrumental ‘Jog’ which illustrates this perfectly. Trevor Jones has a soothing vocal, with a slight tremor on the emotional parts which works so well. Quite honestly I have not been moved by an album for such a long time and songs like ‘Park Bench’ and the slight Americana tinge on ‘Any Human Heart’ are picks of a strong album. I don’t think Miracle Mile will ever win any major awards, mores the pity, although they will delight the listener and leave you thinking long after the final note of the album fades away. This entry was posted in ALBUM REVIEWS, ALBUM REVIEWS (Mobile), All Posts and tagged In Cassidy’s Care, Marcus Cliffe, MIRACLE MILE, Trevor Jones. Bookmark the permalink.